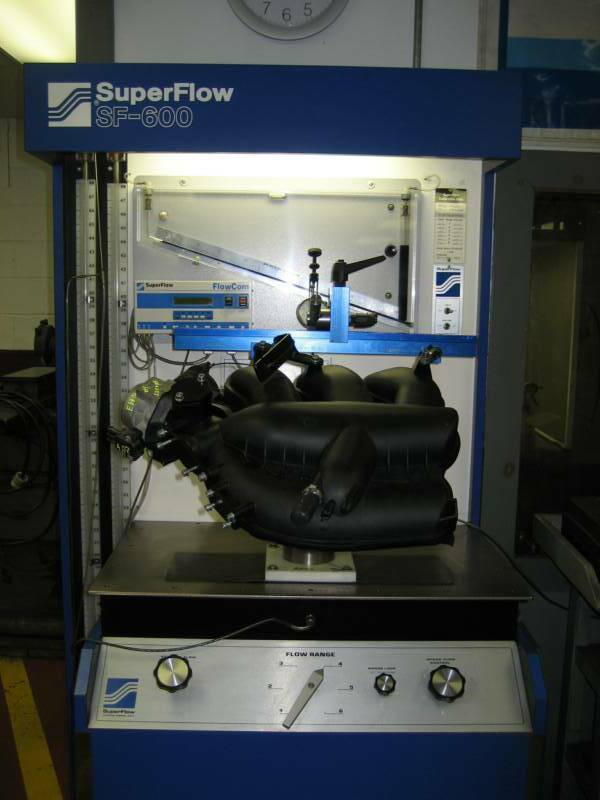 Our flowbench can test cylinder heads for engines up to 180 hp per cylinder. (a 1400 hp V-8). 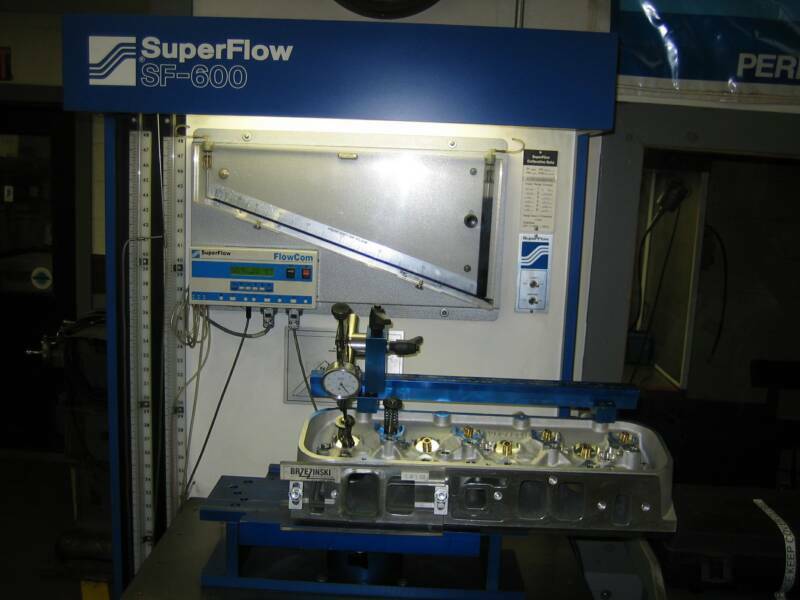 The SF-600s' superior range and accuracy in conjunction with FlowCom™ flow computer allows for faster, easier, more accurate tests. 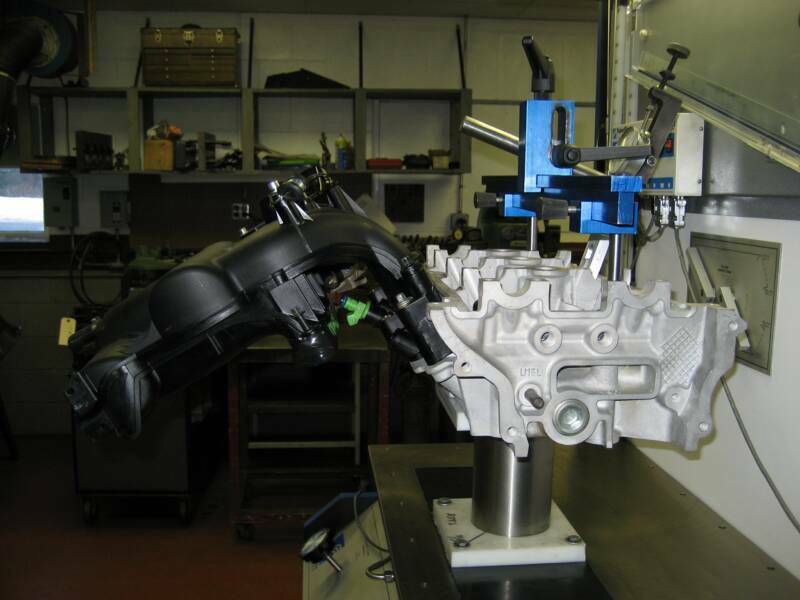 We have the capability test many cylinder heads, intake manifolds, throttle bodies & carburetors. An aluminum head set up for flow testing. The head is fixtured using the proper head adapter & cylinder sleeve. A fixture is clamped in place to actuate the valve throughout the lift range & uses a dial indicator to show the actual valve lift. 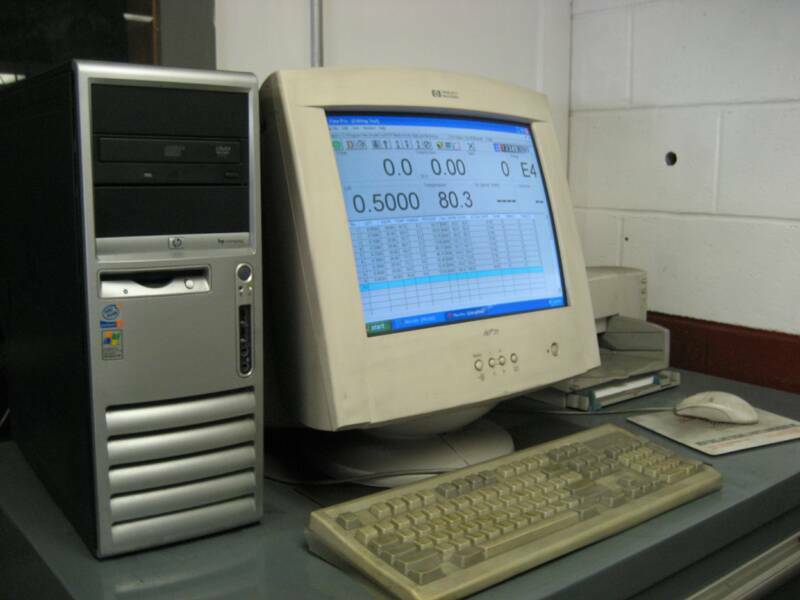 Once all the correct information has been put into the software testing can begin. Here the lift is being set, typically in .050" increments up to the lift required for your application. 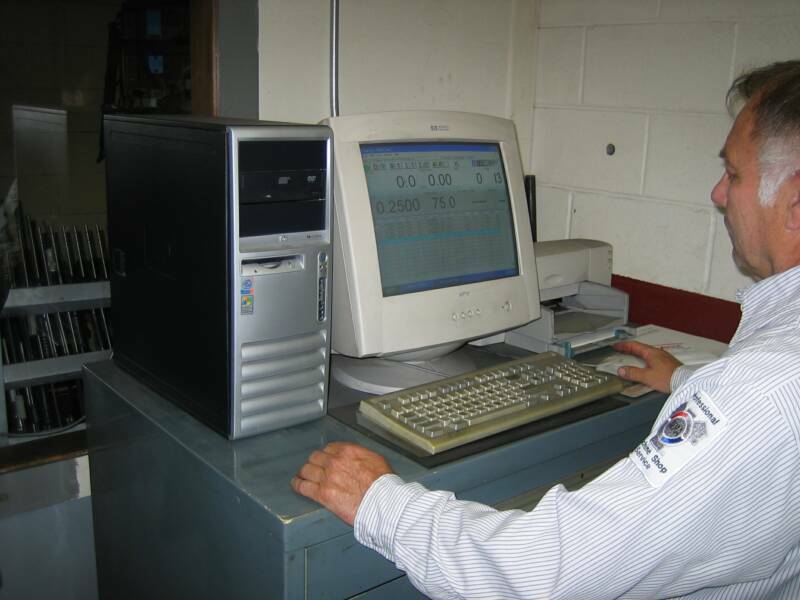 The FlowCom™ flow computer requires the input of specific information to be put in prior to measuring. The information includes but isn't limited to; barometric pressure, relative humidity, temperature, valve & seat dimensions, customer info, etc. Here is a Noble M400 cylinder head we did flow development on. We tested the head in several configurations pre & post modifications. We tested the head only, with the intake attached & no throttle body & then head, intake & modified throttle body to gauge the results of our work. Noble M400 seen from the front of the machine with the throttle body attached. We were able to increase the flow on the intake side by 25% & the exhaust by 27%. A view of the screen once testing has been completed, all data points are recorded & can be saved for comparison for future reference.